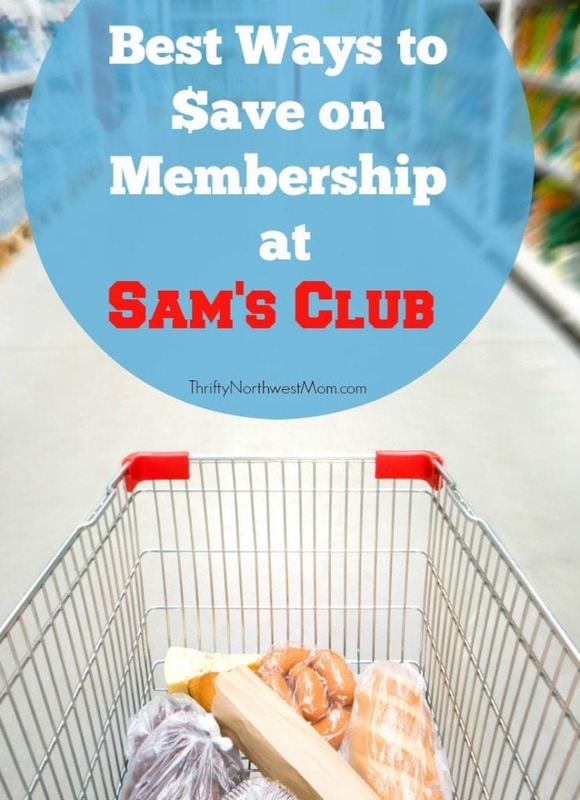 Sams Club Membership Deals & Why to Shop at Sam’s Club! Sam’s Club has been making some big changes in the past year or so which has really changed the way you can shop there and not only is it a great value with all of the savings they offer on their products, but they are making it easier than ever for busy families with all the conveniences they are offering for shoppers. Are you looking for Sams Club Membership Deals going on right now to get a new or renewed Sam’s Club Card? We have a round up of all the latest and best Sam’s Club Membership deals currently available. We work to keep this list current, so let us know if you are aware of an offer we do not have included . Get $45 off your first purchase with new Sam’s Club membership – Enter your email & choose to “Get Offer” to receive $45 off your first purchase when you get a Sam’s Club Membership for $45 (not all items are eligible for the $45 off, so keep that in mind). Make sure your membership is completely set up before making your purchase. Get $45 savings when you open a store credit card and make a $100 purchase on the same day. Just click the “Save $45” banner on the lower left side of the page for details. Restrictions may apply. Military Members can get up to a $10 gift card when they join or renew or get a $25 gift card if you purchase or renew a Sam’s Club Plus membership. Be sure to sign up for their Insiders Club to get special savings emailed to you! Keep an eye out for the blue Valpak envelopes that come in the mail. They often offer additional deals on Sam’s Club memberships and sometimes include other savings offers available to members as well! You can also refer a friend and get a $10 e-gift card when they join online. Plus, they’ll get a $20 gift card if they sign up through your link. Last year, Sam’s Club released their Scan & Go app (for iPhone & Android), as a self-checkout option, but it is way better than the self-checkout lines at grocery stores. It can save you so much time as you can totally skip the lines and pay on your phone with the app! How is that possible? The way it works is that you can scan all the items in your cart using the app to scan the barcodes and then you can pay right thru the app in the store when you’re done shopping & scanning and not have to go thru the checkout line at all. You’ll just show your digital receipt on the app to the checker at the door as you’re leaving the store & you’re good to go. This makes it so nice on those busy weekend or after work days or if you just need to pop in for a few items and don’t want to have to wait in line. Sam’s Club also has another big time-saver with their Club Pickup program. You can order everything you need online at your convenience and then you can drive to Sam’s Club & all your groceries will be ready for you to pick up. You can then bypass the register by checking in & paying on the Scan & Go app (mentioned above), pay at the kiosk inside or select Sam’s clubs will have a drive-thru area where you can get your groceries. The best part – there is no fee to use this service! It is available to all Sam’s Club members, unlike the other pickup & go services at grocery stores. I love this type of service to save time during busy weeks when it seems like there is just not enough time in the day to go to the store. It also makes it so much easier when you have sick kiddos or sick yourself, but of course, you still need groceries. Or for moms of young children and the thought of having to unbuckle all the kids & head into the store is so daunting, this is such a great option (wish it had been around when my girls were little). Sam’s Club has another big timesaver with their Easy Reorder option. You can go online & quickly reorder items you use regularly. These can be quickly & easily selected & then shipped right to your house if you don’t want to have to leave your house at all for those times when you just really don’t have the time or energy to head to the store. There are definitely products that you know that you will buy over & over as it’s the best place to find those savings, so I love that you don’t have to put any thought into coming up with that list over & over and can just select those items you buy frequently & have them shipped directly to you. You can also use this Easy Reorder option with the Club Pickup & just reorder the items you use frequently & then pick up at Sam’s Club – they’ll have it all waiting for you, no shopping in store needed! We love the fact that you can buy in bulk at Sam’s Club for the items your family uses consistently. It saves you time so that you’re having to do less shopping by buying the things you need in larger quantities and then just splitting them up when you get home. We love to buy in bulk for snacks for school especially – we’ll buy Goldfish crackers, Cheeze-It crackers & more & then I put my girls to work with big bowls & scoops & they fill up individual baggies to keep in our pantry for school, park trips, etc. It is much more cost-effective than buying smaller boxes or individually packaged bags and it’s a time-saver to not keep having to go to the store for those items every week. Sia’s aunt runs an AirBNB in the Puget Sound & she loves to shop Sam’s Club for her bulk shopping needs too for her AirBNB. She finds that she saves time by buying her food items & pantry staples in bulk so she is making fewer trips to the store every month. She also has been able to freeze items she needs on a regular basis to save time & money by buying in bulk & paying less than she’d pay for smaller portions. Sia’s aunt has also found some awesome seasonal & specialty items at Sam’s Club that she can buy in bulk. Her favorite item are the Sam’s Club brand Sea Salt caramels that are much cheaper than she would find anywhere else & she can keep these on hand to provide for guests at her AirBNB as little treats. I love that Sam’s Club is offering so many options to save the day for busy families – so you can still save money by shopping at Sam’s Club & taking advantage of all the savings on your favorite products & buying items in bulk, but you don’t have to give up conveniences & time with so many great time-saving features. Even if you prefer to shop in store (that’s my preference when I have the time because I can see all that is offered & the fun, unique seasonal items), Sam’s Club is still a great option because the crowds are less, at least here in the NW, so that makes it so much easier to find parking easily, navigate the store & take your time as you check out all the items on your shopping list & the fun seasonal items they have on display. The checkout lines typically do not get too long either, so you can be in & out faster with quick purchases, even if you choose to go thru the lines instead of using the Scan & Go app. Sam’s club online has some great prices too. They also offer some great online exclusives. If you are planning to put together a game day spread, Sam’s Club can help you save time and money by grabbing your party items at the store. It is our family tradition to fry up some wings for all the big football games and then we plan the rest of the spread around the wings. I love the Tyson wings from Sam’s Club. There is enough to feed a crowd and they are so easy to get on the table when folks are hungry. 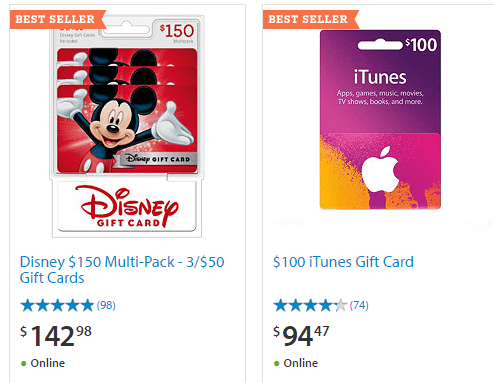 Did you know that Sam’s Club is a great spot to find discounted Gift Cards! We even found discounted Disney Cards (which are very hard to find). Find all of their current gift card deals here. They have a Shocking Values page, where you can get special deal prices that are below the typical warehouse price savings. There are all kinds of items that you can find some big discounts on, but only for a limited time (many available for just two day periods), so you will want to keep an eye on this page and check it regularly. You can even sign up with your email to have them notify you of deals. PLUS, you can find current Sams Club Coupons (Instant Savings) here for Sams Club! There are also some very good prices on diapers if you have little ones in those. 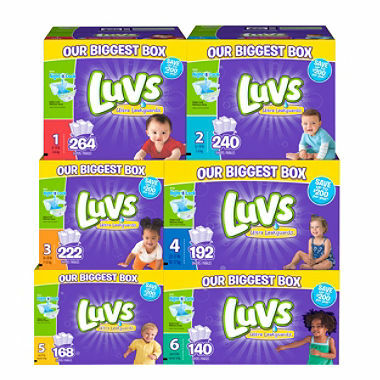 These Luvs Ultra Leakguard Diapers work out to just $0.12 per diaper, which is a great price for diapers! Sam’s Club has plenty more great prices on all kinds of items from food to home items. Find all of the details on this special promotion here. Check back regularly for the current Sams Club Membership Discounts too! Costco Price List (compare prices of over 1000 items sold at Costco)! I am a little confused, you seem to imply that there will be a $20 credit to the cashback account (for new topcashback customers),(in addition to the gift card) but the topcashback website seems to indiciate only a 5 or 10% cash back in addition to the gift card and doesn’t seem to mention anything about being a new topcashback customer. Am I missing something? We originally posted that deal back on 4/28, and those popular deals can go fast unfortunately. It looks like it is no longer available. I will go in and get the post updated, so that is clear to folks know (and if we see another one like it we will be sure to post). Thanks for the heads up!! I tried to get this offer for several days now. It is suppose to run until July, but says not available. Hi Bonnie – Unfortunately this deal was posted back on 4/28 & these deals can often go quickly, and it looks like this offer is no longer available. They put down the date it could be available until, based on availability. We’ll make sure to update the post. Thanks! Hi Kandesse, Unfortunately this deal sold out early so it’s no longer available. We’ll update the post so that it is more clear. Sorry for your confusion! If you’re a new TopCashback member, you’ll get $20 back on to your account ON TOP of getting the Sams Club membership for $45 (includes $20 gift card and freebies). So essentially, you get the membership for $5 IF you’re a new TopCashBack member. However, it’s not tracking properly on TopCashBack so I’m having to open up a claim. It clearly states on their ‘offer’ that you should get $20 posted to your account as a new user purchasing through Living Social. SO… Having been a member for 20 plus years counts for nothing except for a $100 renewal fee. There is something wrong with this picture!!!! This deal is on now, however both the $25 and $45 options are for the “savings” memberships rather than the “plus” memberships. Thanks for catching that Melanie. We have updated the post to reflect that info. Thanks again! This is not good for a membership renewal as your first paragraph states! Hi Gene – thank you for pointing that out, you are correct. You cannot have had a membership for the previous 6 months qualify – we have updated that. Thanks again! Do you know if they are giving you coupons for the free goodies for signing up when you get your ID card, or are they loaded on your card, or what? Jennifer – I’m not positive, but I would think they would give them to you at the time of getting your card. You could call & ask them just to be sure, though. My computer is down and I am trying to use a family members but it is not offering me new member prices. When they joined, they got a gift card and several food items free. Is there anything like that and how can I do this? I do not want to enter my payment information at a public computer. Hi Jennifer, it looks like the free $25 gift card offer is not currently available (we will update the post to reflect that). If you are a college student or military member there are current savings, and we will be sure to share as soon as we find the free $25 gift offer available again (it pops up from time to time)! Give me about 10 minutes, and I will get that Sams Club post current with all the offers available right now. Thanks! Maureen – Thank you for letting us know that has changed in price. Unfortunately prices can change so frequently online so the prices you see on our website are from when we posted it, so it can change at any time after posting. Sorry for the confusion! I clicked on to get a $25 gift card from Sams Club. When I put in my info to join Sams it didn’t have anything about the gift card, pizza or cookies? Am I missing something? Kimberle – Did you click on this link – it will take you right to the landing page showing all the items you will receive:: https://www.savings.com/m/p/16070875/9384764/c?afsrc=1 – You can screenshot that to have as a record, but yes, they should be giving you instructions on how to receive all of those items from Sam’s club. When the information is on the screen it indicates the expiration date for this offer it indicates “End Sept 30” however when you print it out, it states it ends Sept 11. Taffy – this should definitely end on 9/30 – I would try to contact their customer service to see why it says the 11th when their online info all says 9/30? Hi, I’m trying to renew my membership and the link above for renewal takes me to sams website but is only for new members :( my membership expires in 37 days so hopefully there will be a promo that renewals can use. We will keep our eyes out for renewal deals, Betty! I can not retrieve my card purchase through Groupon. I don’t know what else to do. I believe I have bought two cards Thru Groupon and I can’t access either one. HELP! Hi Mary, You will have to contact the Groupon customer support and ask them to help you retrieve that. We do not sell the deals, just tell you about them and let you know where to find them, so we do not have access to anyones purchase info. Keep us posted, and let us know if they resolve it for you. Thanks!! Why does Sam[s not offer “renewal memberships” special offers as a thank you for being faithful members. You NEVER offer anything. THEREFORE, I AM NOT RENEWING MY MEMBERSHIP!!! !